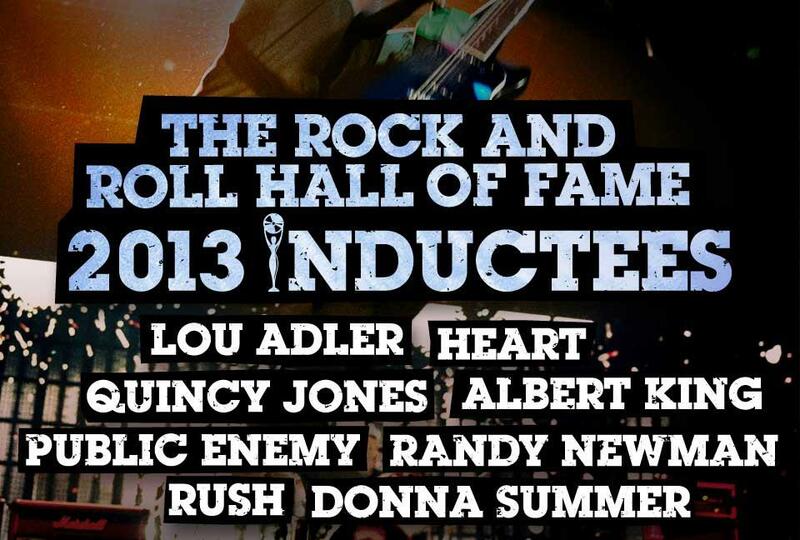 Rush and Heart lead the list of 2013 inductees into the Rock & Roll Hall Of Fame. Joining the rock legends are Public Enemy, Donna Summer, Randy Newman and Albert King. Ann and Nancy Wilson of Heart were also overjoyed to learn the news. "Some people have an idea of what the shape of rock & roll is supposed to look like," says Ann. "We're not really it. Personally, that's why I think it's taken quite a while . . . We're always traveling and out there doing it. It can start to feel like you're a tree falling in the forest, but nobody notices. So this kind of acknowledgement is really sweet." The public was allowed to vote for the first time in the history of the Rock and Roll Hall of Fame this year. Votes were taken online, and the result was a "fan's ballot" that was counted along with roughly 600 other ballots. 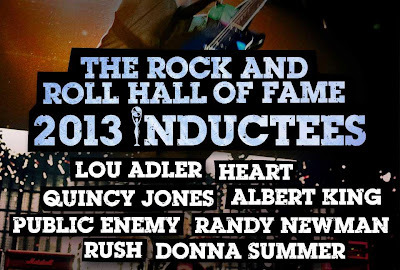 The Rock and Roll Hall of Fame induction ceremony will be held on April 18th, 2013 at the Nokia Theater and broadcast on HBO May 18th. Tickets will go on sale to the public on January 25.